Price include: Transport with comfortable bus and coach, Accommodation in good hotels with private facilities, full board, professional guide and entrance taxes. Bulgaria has a long millenaries history. In the country you have the unique possibility to discover and enjoy more than 40 000 historical sites. 7 from these sites are inscribed in the UNESCO World Cultural Heritage. In Bulgaria you have the chance to visit many sites from different time: prehistorically, Thracian monuments, Greek and Roman sites, Bulgarian monuments, more than 120 picturesque monasteries and many architectural reserves. Arrival at the Sofia Airport and transfer to the hotel in the town of Sofia. 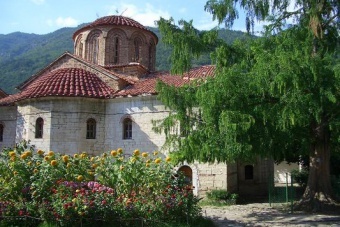 We will visit the biggest monastery in Bulgaria included in the Unesco list of World Heritage. The hermit Ivan Rilski establishes The Monastery of Rila in 10th Century AD. After lunch we will arrive in the town of Melnik - the smallest town in Bulgaria. The town has been popular as a wine-growing region since 1346. After an accommodation in the hotel we will visit a typical cave and we will test different wines. Diner and overnight. After breakfast we will visit the Rojen Monastery. We will take a lunch in a typical restaurant near to the monastery. Late in the afternoon we will arrive in the town of Assenovgrad. Dinner and overnight. 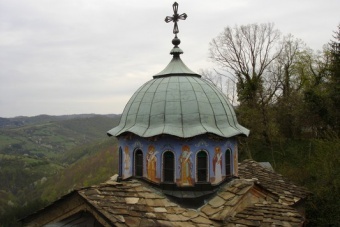 Today we will visit the Bachkovo Monastery, founded in 1083 by the brothers Bakouriani from Georgia. We will have a lunch in an open-air restaurant on the board of the river. In the afternoon we will arrive in the second biggest town in Bulgaria – Plovdiv. In 342 B.C. Philip II of Macedon conquers the Thracian settlement and makes it a flourishing town centre named Philippopolis. In 45 A.D. the town is conquered by the Romans and is named Trimontium. Late in the afternoon we will arrive at the town of Koprivstitza - one of the most charming small Bulgarian towns, still preserving the atmosphere of the National Revival period. Dinner and overnight in Koprivstitza. Today we will go to the Balkan Mountain and visit Kalofer Monastery. Later on we will stop to see also Shipka Monastery. 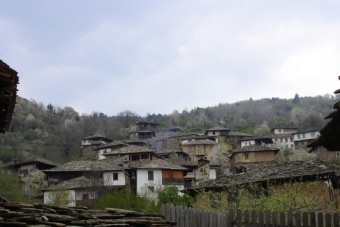 We will continue our trip in direction of the village of Bojentzi – a remarkable national architectural reserve. We will spend in Bojentzi three overnights in a nice hotel – a museum from XVIII Century. After breakfast we will visit the Sokolski Monastery. Its church was built on a small site on top of a vertical rock and shows a wonderful view of the Balkan folds. We will spend some time to visit the Ethnographic Open Air Museum - Etara. 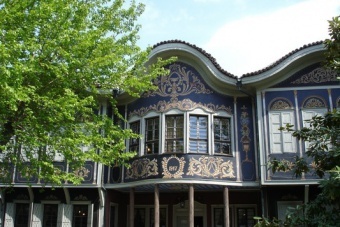 The museum features over 20 Bulgarian crafts. We will have a lunch in a historical town of Tryavna. This town is a centre of woodcarving, icon painting and singular architecture. You can enjoy the masterpieces of the Tryavna art school - the oldest Bulgarian school of art, which is still functioning today. Late in the afternoon we will return to the village of Bojentzi for a night overstay. After breakfast we will visit the Dryanovo Monastery. Later we will visit the old town of Veliko Tarnovo - one of the most picturesque Bulgarian towns. After the foundation of the Second Bulgarian Kingdom (1186), the town becomes its capital, a centre of medieval Bulgarian coin minting. After lunch, we will visit the Kilifarevo Monastery. Nearby is situated the Kapinovski Monastery. Overnight stay in Bojentzi. Today we will continue our trip to the West part of the Balkan Mountain. We will visit the Batoshevski Monastery. 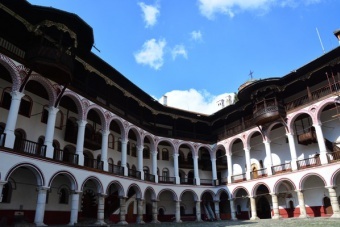 In the afternoon we will arrive to the Troyan Monastery, the third biggest in the country, founded in 1600. Today we will visit the town of Teteven. The town is situated in the north-western folds of the Central Balkan Mountains. There is no other place so picturesque in location as the Glojene Monastery. Late in the afternoon we will arrive in the town of Sofia. Dinner and overnight. Today we will visit the churches and monuments in the town of Sofia. 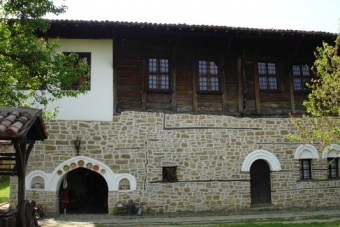 After breakfast we will visit the Boyana Church – included in the list of UNESCO of World Heritage. We will visit also the Dragalevtzi Monastery. In the afternoon, after the lunch, we will visit the Rotunda of St. George. Overnight stay in our hotel in Sofia. Depending of your departure time we will give you spare time for shopping or other leisure activities. Transfer to the Sofia Airport. Departure.